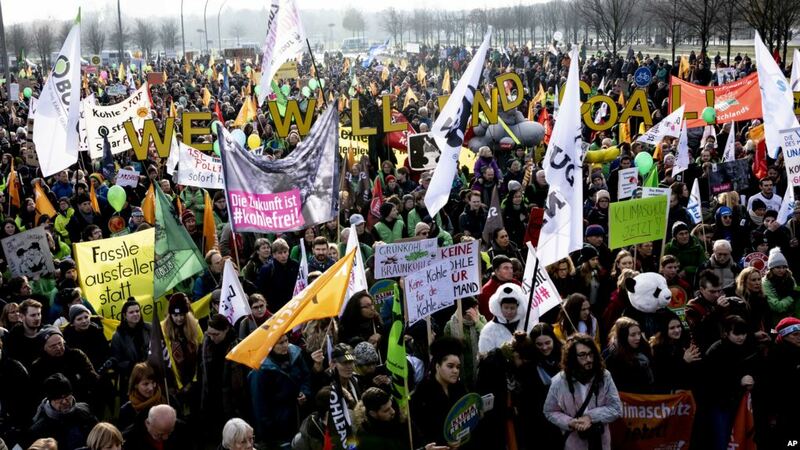 Thousands of people marched in Berlin and Cologne on Saturday calling for Germany to abandon coal-powered electricity generation, on the eve of a major climate conference in Poland. Organisers in Berlin said 16,000 protestors marched in Berlin — 5,000 according to police — in a colourful march featuring placards, banners and costumes. In the western city of Cologne, organisers said 20,000 people turned out to protest — 10,000 according to police. Hubert Weiger, spokesman for one organisation, “Bund”, called on Germany to commit to pulling out of coal by 2030. Partly because of that decision, coal remains a cornerstone of energy generation in Germany’s energy policy, accounting for nearly 40 percent of the country’s energy production.